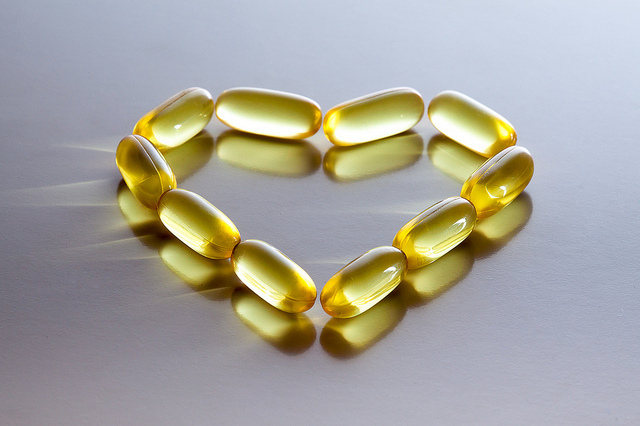 Fish oils are some of the most widely used supplements on the market today, touted for their heart-healthy, joint-healthy and omega-3 benefits. However, there are a few different kinds of marine oils that often get lumped into the same category but are actually significantly different. Fish oil is typically extracted from the flesh of deep-sea oily fish, such as tuna, salmon, sardine, cod, and herring. “Fish” is a general term that encompasses several different types of species that can be used for their beneficial oils. These oils are rich in omega-3 fatty acids, but not typically high in vitamin A or D.
Seagate’s Omega-3 Fish Liver Oil capsules have a 30 percent composition of omega-3 fatty acids, which is a very high level for fish oil. We extract a variety of fish livers from pelagic marine species and perform the entire oil extraction, separation, and purification process in our own plant. Our chemical-free method removes all contaminants, including heavy metals (lead, cadmium, arsenic, and mercury), PCBs, dioxins, and pesticides. As the name suggests, cod liver oil comes only from the liver of the cod fish. The reason that cod liver oil has gained popularity as a dietary supplement because it is high in vitamin A and D. This may be an oil to consider taking during the winter months when you spend less time outdoors in the sunshine. However, excess vitamin A is not recommended for pregnant women or people at risk of liver problems or osteoporosis. The oil from cod can also contain less omega-3s that others types of fish. To extract this oil, cod livers are steamed and pressed, and it is available in both capsule and liquid forms. Fermented cod liver oil allows fat soluble vitamins and oils to separate from the rest of the liver without damaging the them, which is distinguished from some heat processing methods that damage vitamins. 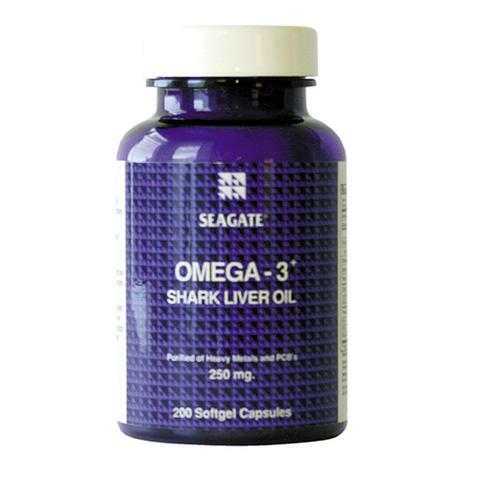 Our Omega-3 Shark Liver Oil softgels have one of the highest natural levels of Omega 3 fatty acids in the world – more than three times higher concentration that some competing brands. This fact makes them a very powerful source for maintaining a healthy heart, circulatory system, brain, and nervous system. Most health food companies purchase their oils in bulk from dealers, contributing little more than their label and marketing. Seagate processes their own oils. Another shark supplement worth mentioning is shark cartilage. Since we discontinued shark fishing many years ago, the cartilage we use is a byproduct of local seafood processors who produce a very low volume of shark meat for Ensenada grocery stores. Never accept shark cartilage products that are cut with fillers, sterilized or exposed to high temperatures or chemicals. Marine protein supplements provide a safe way to consume fish and are a great option for people who don’t like the taste or texture of fish. The American Heart Association recommends having at least two servings per week of fish, so supplementation may be beneficial if you’re not eating fish that often. Although there are differences in the way these oils are sourced and processed, the marine sources of omega-3s you get are quite similar. For example, omega-3s in both cod liver oil and fish oil contain beneficial docosahexaenoic acid (DHA) and eicosapentaenoic acid (EPA). Just keep in mind that if you suffer from seafood allergies, you may also have a reaction to marine supplements. Always talk to your doctor before starting a new supplement plan to discuss any allergy concerns you may have. And no matter which type of marine protein you choose, always buy it from a reputable source to avoid environmental contaminants, like polychlorinated biphenyls and methylmercury.